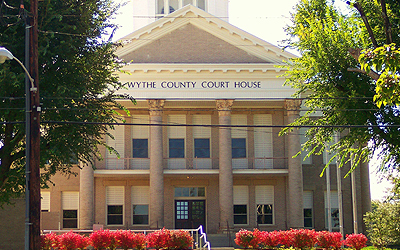 Wytheville Virginia, county seat of Wythe County and strategically located in the heart of the Blue Ridge Mountains in Southwest Virginia. Close to Roanoke and Washington, D.C., both Wytheville Virginia and Wythe County have much to offer. Much of the 460 sq miles of Wythe County lies in a beautiful, broad valley bordered by the Blue Ridge and Allegheny Mountain ranges. We invite you to contact United Country Anders Realty, of Wytheville Virginia. We can save you time and money in locating properties throughout the counties of Wythe, Bland, Grayson, Carroll, Pulaski, Giles and Smyth in Southwestern Virginia. We offer a fine selection of homes for sale, farms and ranches, mountain property, recreational land and businesses for sale.